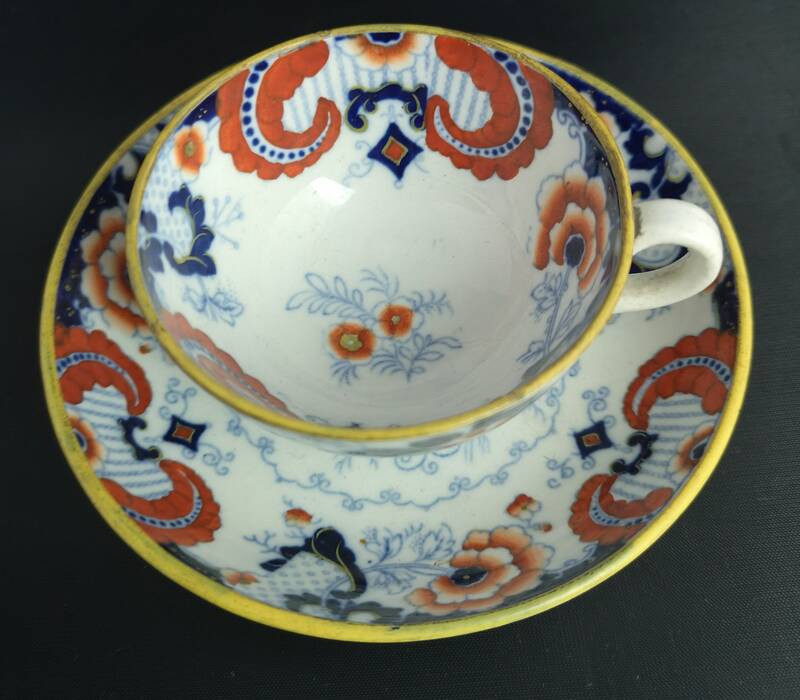 A very attractive antique Chinese Imari pattern cup and saucer. 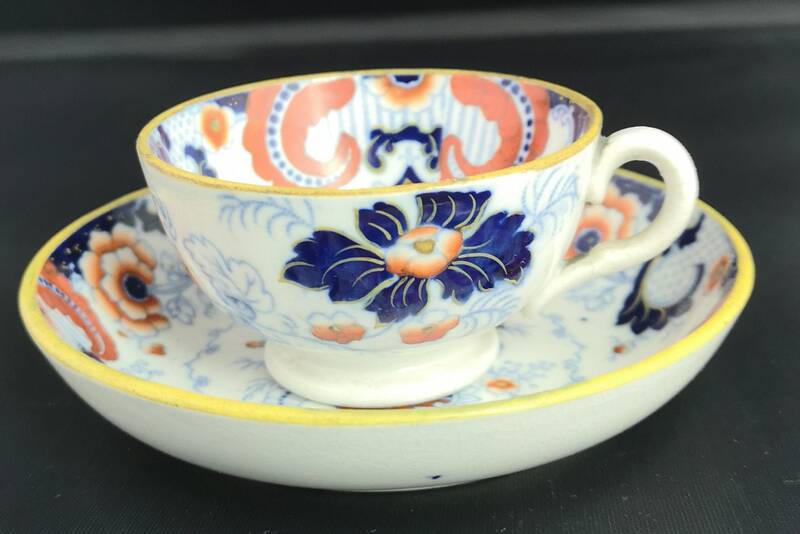 Small sized with beautiful vibrant cobalt blue and coral decoration, it has a yellow rim to both the cup and saucer. 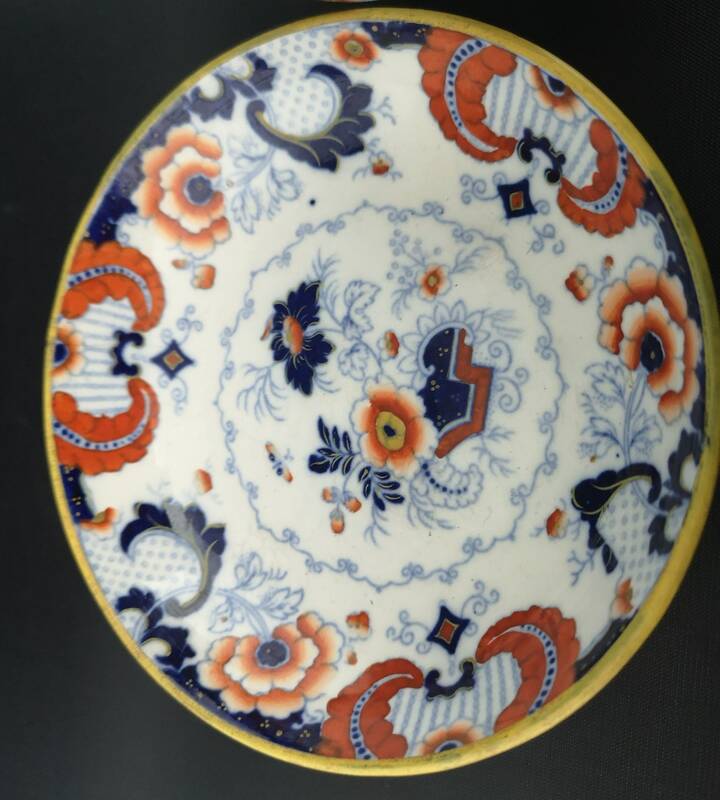 It has some fine gilt details in very low relief, fine China, delicate and light. 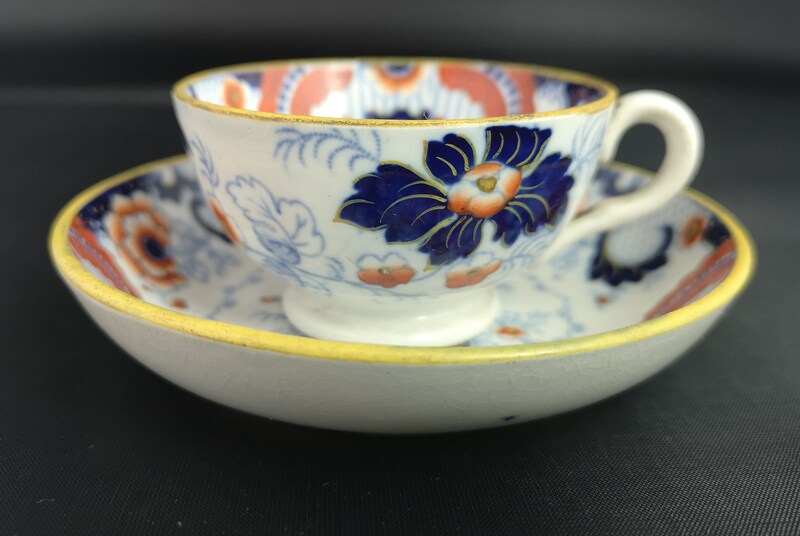 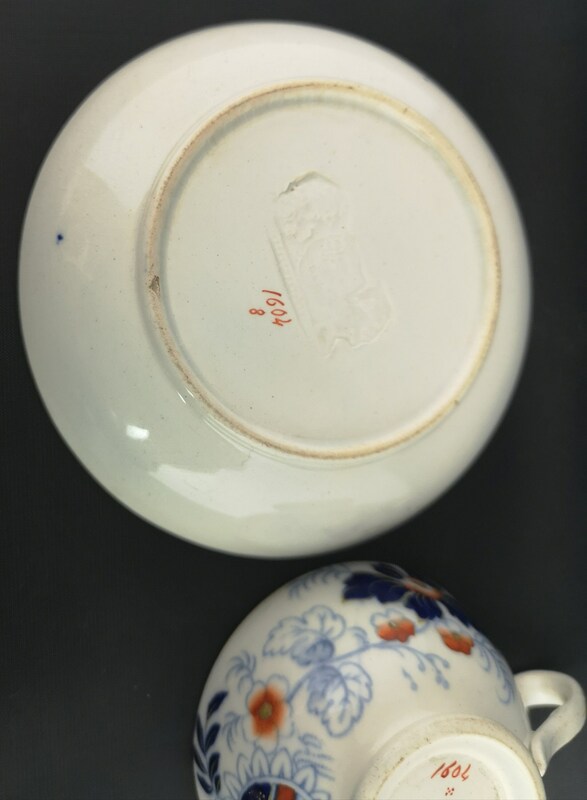 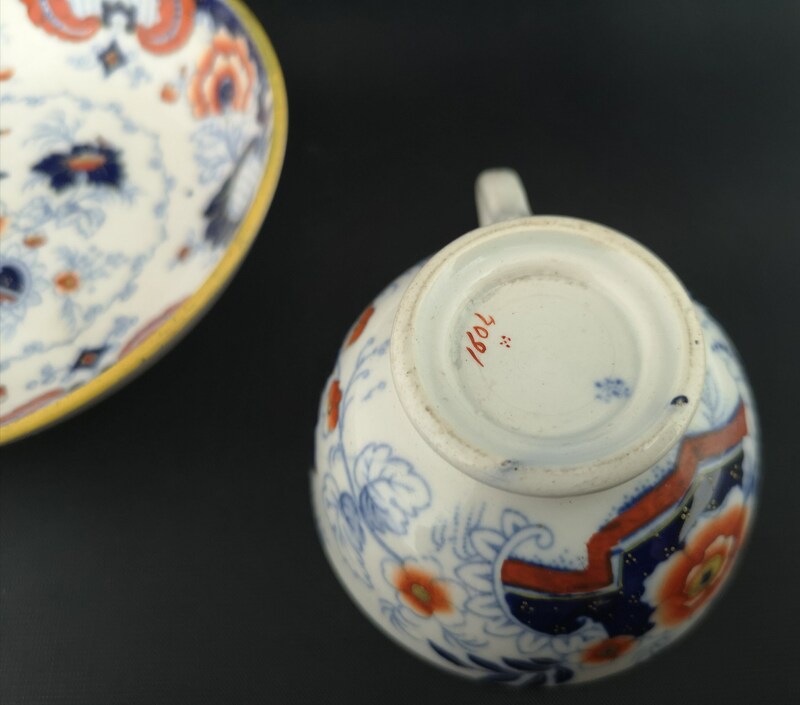 The cup is marked on the underside with a blue character mark, the saucer has an impressed mark but this is ineligible, likely early Republic 1910's. 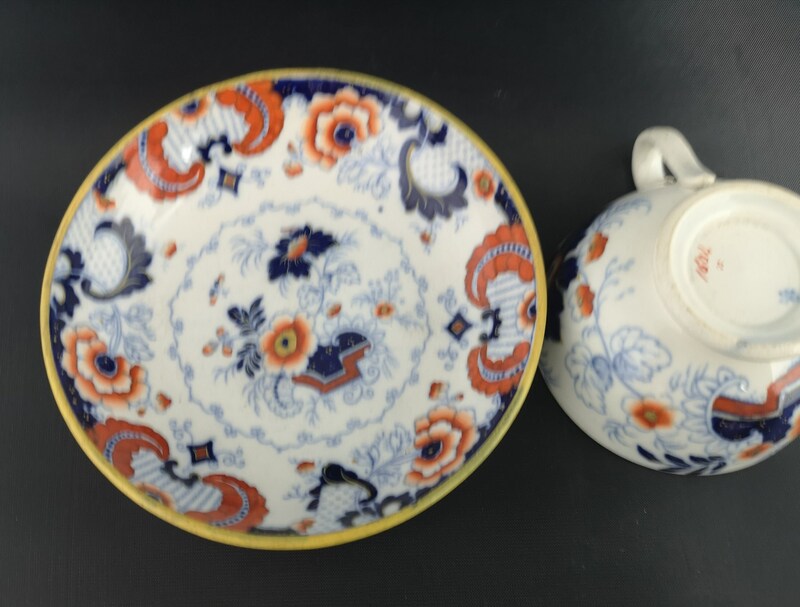 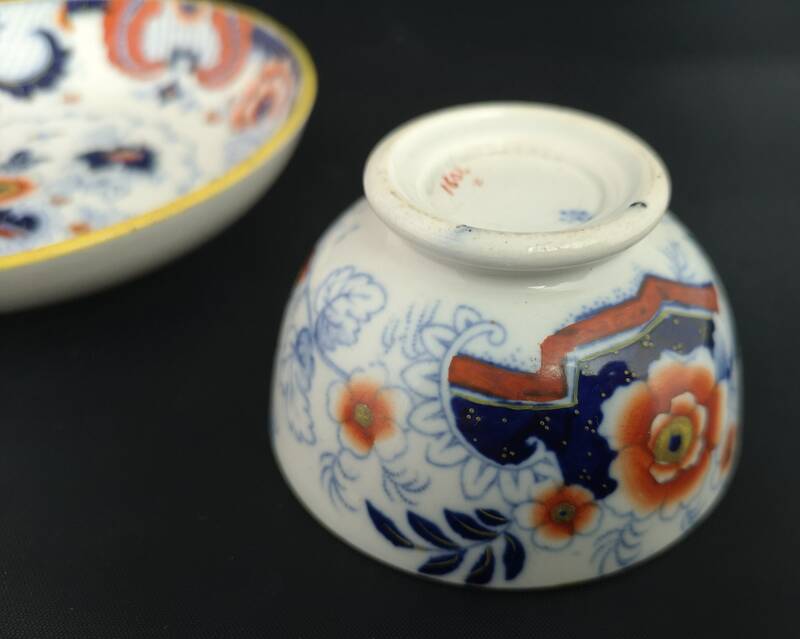 A fine example of antique Chinese ceramics. 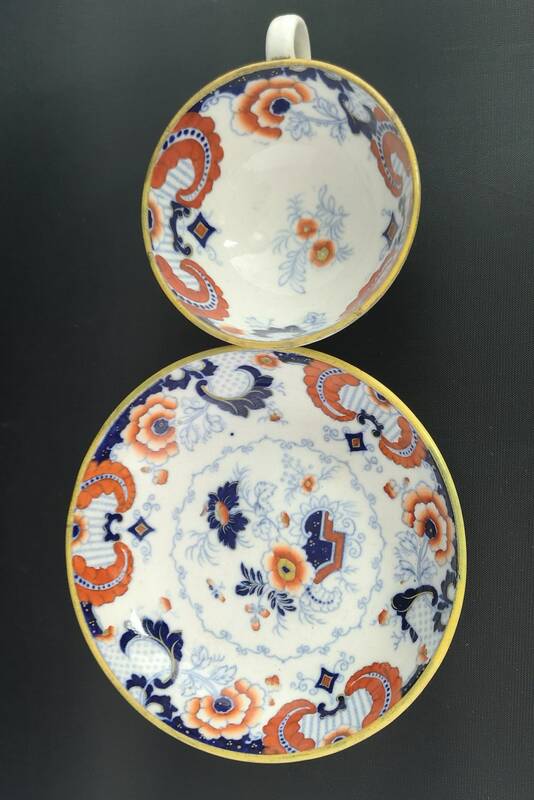 Good condition overall no chips or cracks.